Howard Summers, AAI, CLCS, CWCA, Commercial Insurance Executive for Lipscomb & Pitts Insurance, LLC in Memphis, TN, recently earned the prestigious Certified WorkComp Advisor designation, conferred by the Institute of WorkComp Professionals. The Asheville, NC-based organization trains insurance professionals to locate costly errors in Workers’ Compensation coverage and develop a true expertise in this field. Preston Diamond, president of the Institute of WorkComp Professionals, says because Workers’ Compensation insurance differs from other types of insurance coverage, it is difficult to detect errors. “Unless the insurance agent has the necessary training to locate and correct the errors in Workers’ Compensation coverage, the problems may go undetected and cause business owners to pay much higher premiums than required,” says Diamond. The certification training provided by the Institute is essential in reviewing Workers’ Compensation insurance reports. Currently, there are approximately 300 insurance agencies nationwide that have staff members who have qualified for the Certified WorkComp Advisor designation. 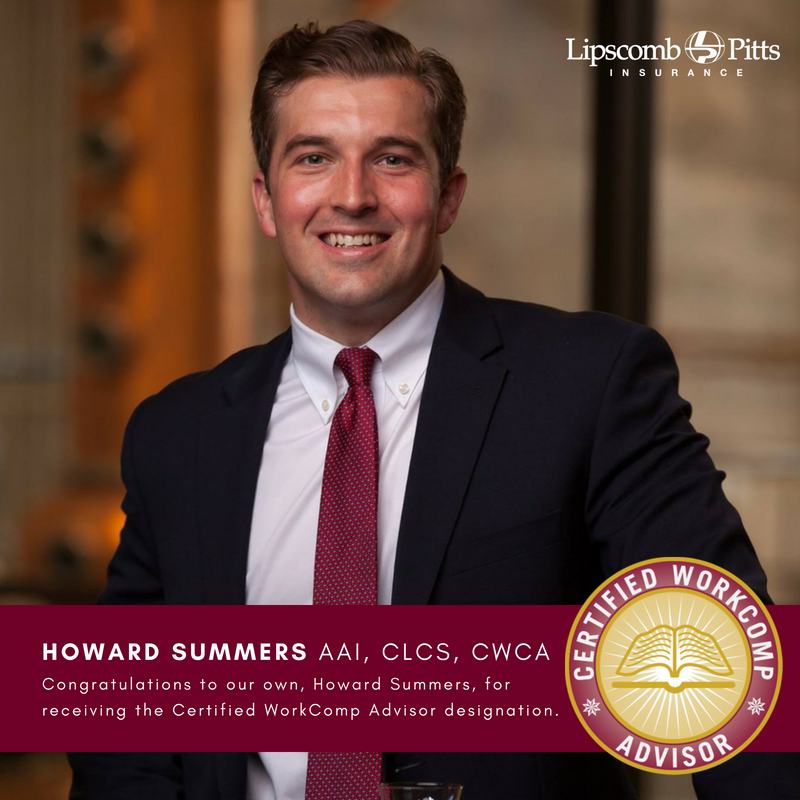 Summers is one of five other Certified WorkComp Advisors (CWCA) employed by Lipscomb & Pitts Insurance, LLC.